U. S. shield, run off on an old press using the original dies. 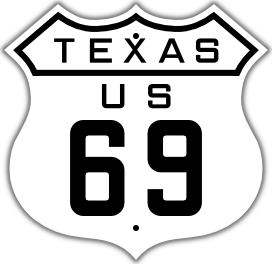 1926 MUTCD square fonts, as seen on Route 66 and other classic highways of the golden age of motoring. 16x16 inches, embossed into 18 gauge steel, cut out to shield shape. Available in any number, with or without glass cateye reflectors. Customize and purchase this item. 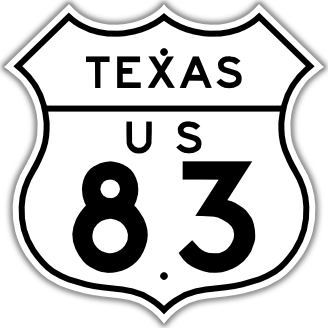 Cutout U. S. shield, with 1926 MUTCD fonts. The sign is 16 by 16 inches. It is printed using cutting-edge technology, to replicate accurately the look of classic non-reflective signage. Available with any route number. Cutout U. S. shield, with Texas custom fonts. The sign is 16 by 16 inches. It is printed using cutting-edge technology, to replicate accurately the look of classic Silver Scotchlite sheeting. The sign is 20 by 20 inches. It is printed using cutting-edge technology, to replicate accurately the look of classic Silver Scotchlite sheeting. U. S. shield, with 1948 MUTCD fonts. The sign is 18 by 18 or 24 by 24 inches. It is printed using cutting-edge technology, to replicate accurately the look of classic Silver Scotchlite sheeting. Can't find exactly the sign you are looking for? 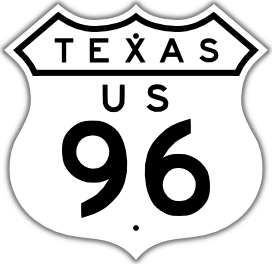 We are always happy to make you a custom highway marker to your specifications! Take a look at the shield generator program, which allows you to design your own highway markers. Please email us at shields@aaroads.com for all inquiries.